You all know I love "Date A Live", so the 2nd season finally being out made me one happy man. Finally after over a year we get to see Shido and more spiritual girls go at it with the art of dating and sexual harassment. 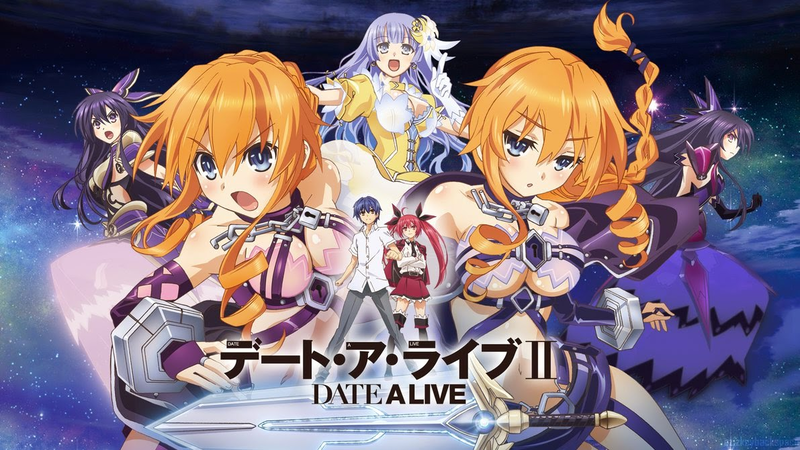 Presented with 2 brand new arcs this time round, we'll get to see more of what we did in season 1, and depending on your outlook of things, that's exactly how this second season of "Date A Live" is going to be. Its going to be more of season 1, though arguably, this second season is slightly more draggy since each arc is about half of the entire anime (not that I'm complaining). This second season is only 10 episodes long, which is pretty damn short, and a lot of characters from season 1 get a lot less considerable screen time here, which may not please some people. 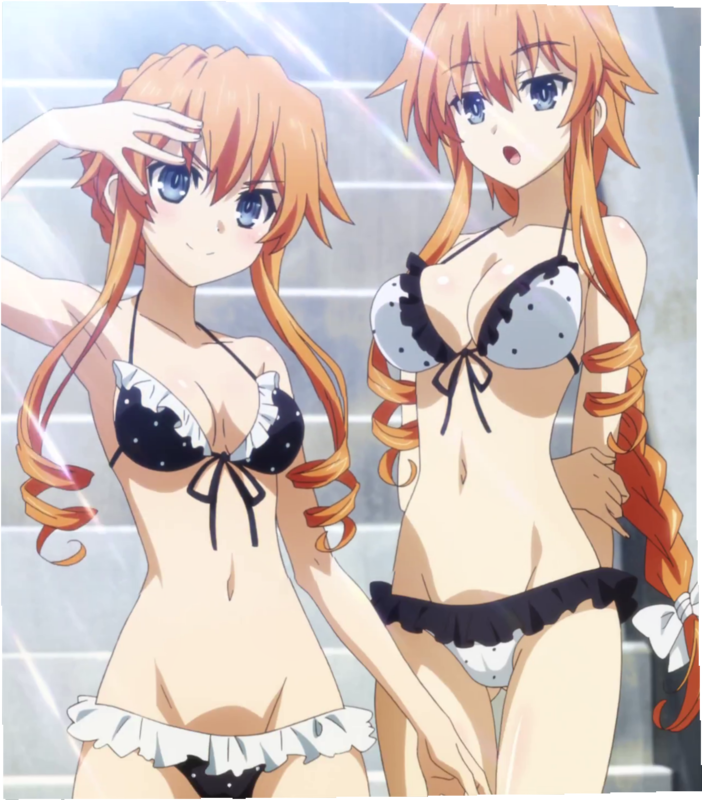 Still, not much needs to be said here, if you're a fan of the original, you'll like "Date A Live II" no problem! The opening theme is "Trust In You" by Sweet ARMS, which is a pretty good song on its own, but I expected them to bust out another Iori Nomizu tune (she's pretty awesome). It still has that "epic harem" feel to it, while not on that big of a scale, the opening animations are also really well done. The ending theme, "Day To Story", to its credit, isn't a typical slow ending theme, but its nothing really special IMO. As I mentioned earlier, there's not much of a change to "Date A Live"'s formula in season 2. New spirits pop up (which are all girls for whatever reason), Shido goes to date them, successfully makes them fall in love with him, he seals their spirit powers and they become ordinary girls...nothing too new here. This is so they don't get hunted down by the ESP and potentially lose their lives. This was an interesting premise for a harem when it was first introduced, but they didn't do anything to change it here, which I can't complain about. It worked well in season 1, and it worked well here as well. All old characters are back, and they introduced new ones as well. Most old characters have significantly reduced screen time, and whether or not the new characters (which are getting all the screen time now) are good, its all subjective. Personally, I liked the Yamai twins but not so much with Diva. The action is still here and it remains pretty good, though that's not the main attraction of the show IMO. 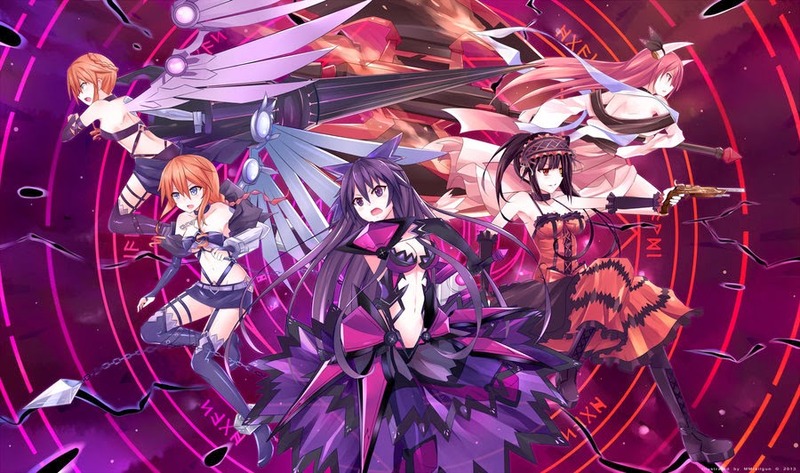 "Date A Live II" reused its old formula, and it reuses it well. Once again, the story stars Shido, the luckiest spirit dater teenage boy in the world, who works for AST, which his little sister is the leader of, to help tame spirits that magically appear out of nowhere. Of course, life goes on as usual for him, as he spends his life away with Tohka and Yoshino, he also waits for news from Origami about AST and Kotori about spirits. Things get crazy when he gets sent to a deserted island for a school field trip, and Shido sees two spirits duking it out in the crazy wind. The Yamai sisters, Kaguya and Yuzuru, codenamed "Berserk". With their destructive powers, things could get blown out of hand really quickly, so he stupidly decides to intrude on their fight. Before he knows it, both Yamai sisters are trying to seduce him in a competition. So with that, he has to conquer these 2 troublesome girls. Kind of suitable, don't you think? With the conclusion of "Date A Live II"'s 10th episode, you can only wonder if they didn't have the time or budget for a proper 12-13 episode release. Its okay though, because at the end of everything, a movie was announced. I'm not sure if this movie is going to be about Natsumi (the latest spirit in the light novels), but I sure hope that its not a remastered compilation of the first season or something. It better be a proper sequel, or I'll be one disappointed fan.